Here are a few more items I purchased this past Sunday. 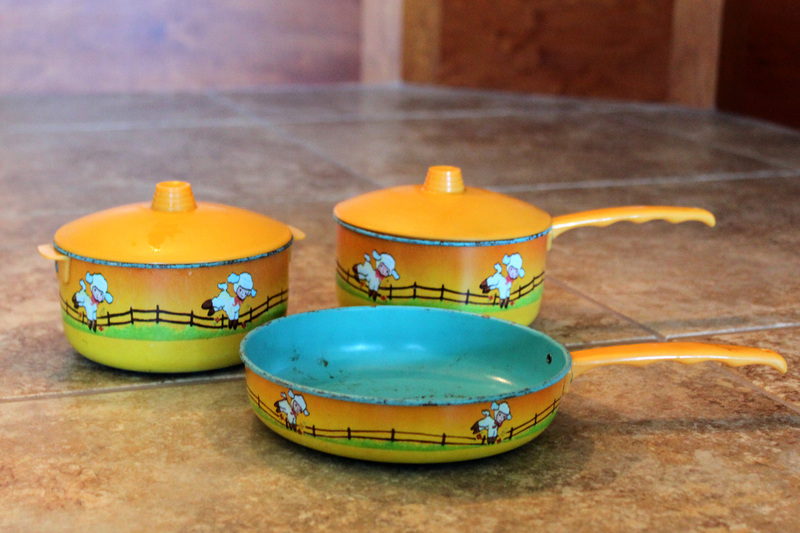 Check out this cute Little Bo Peep Child’s Cookware. It is made out of metal. None of the plasticky stuff of today. (Is plasticky a word?) There is wear and rust on the bottom, but it just brings a smile to my face. I didn’t have this set, but I did have a metal set that my sisters and I played with on our toy wood kitchen. I wonder if they remember the set. 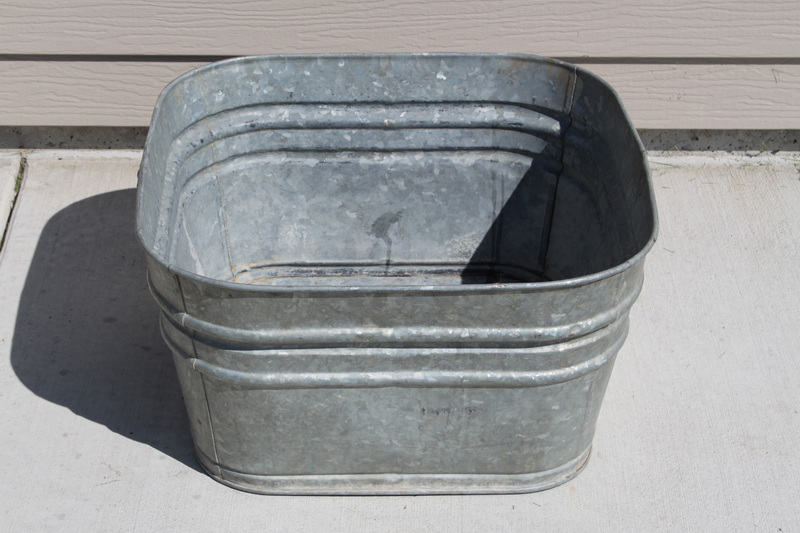 I had to have this washtub. I am always looking for something to use outside when I need to clean things. This will fit the bill. I paid $7.50 and it is in awesome shape. 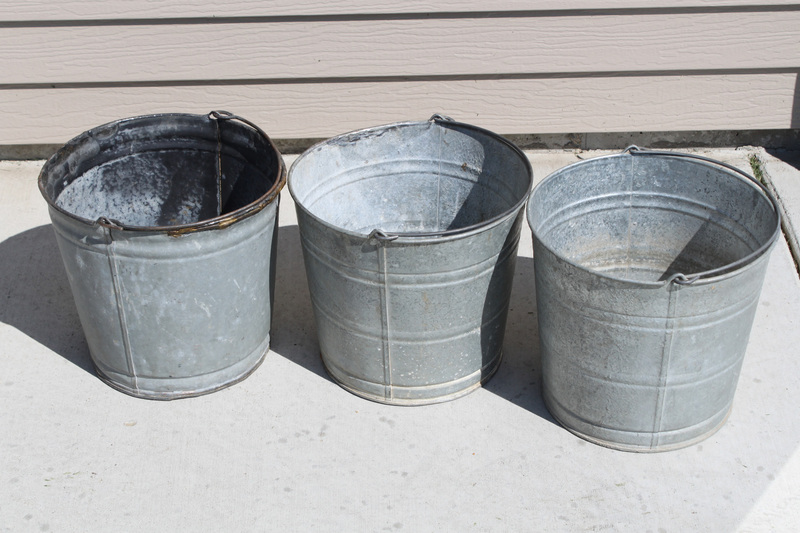 These three buckets came together with a few other odds and ends. 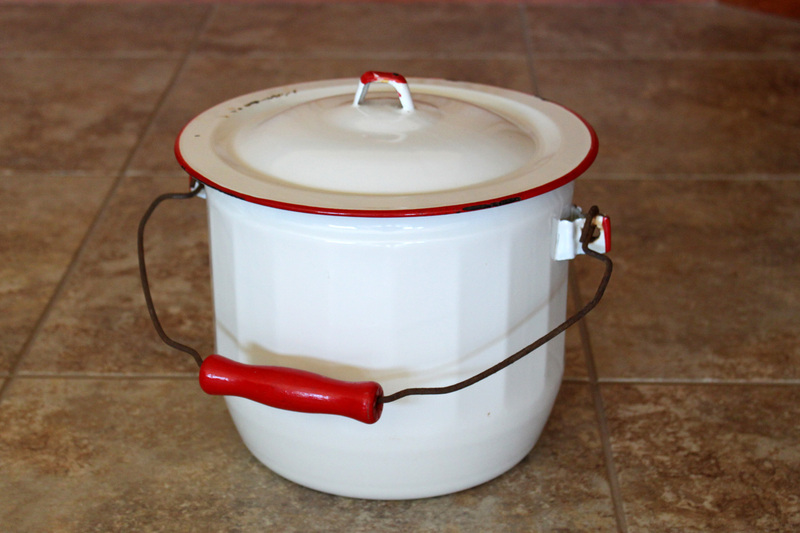 I used to use one of these when I fed our baby calves milk. I am keeping a couple of them. I want to use one as a flower pot and the other as, get this, a bucket. Ha. I like the look of the old white iron. 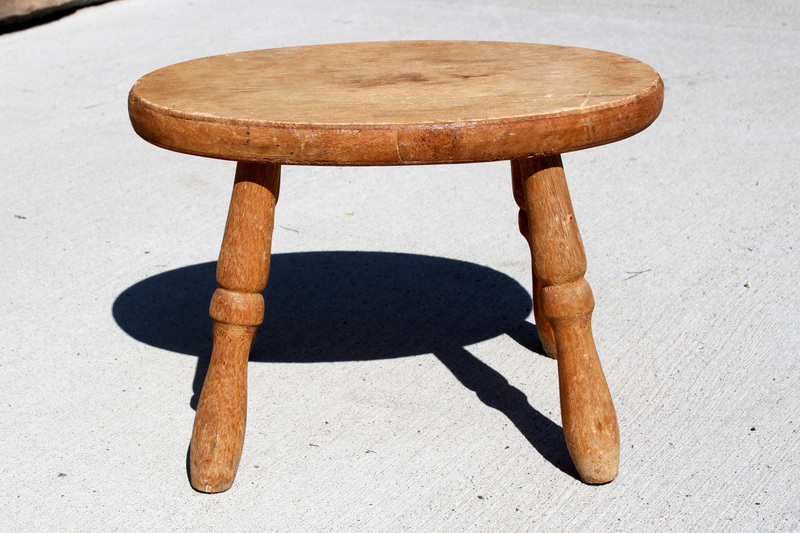 The final picture today is of this milk stool. Not really sure if it is officially a milk stool, but that is what it reminds me of. I like it because it is a 4-legger instead of a three leg stool. It is beat up. I am trying to decide if I should leave it that way or should I sand and paint it. Any opinions? 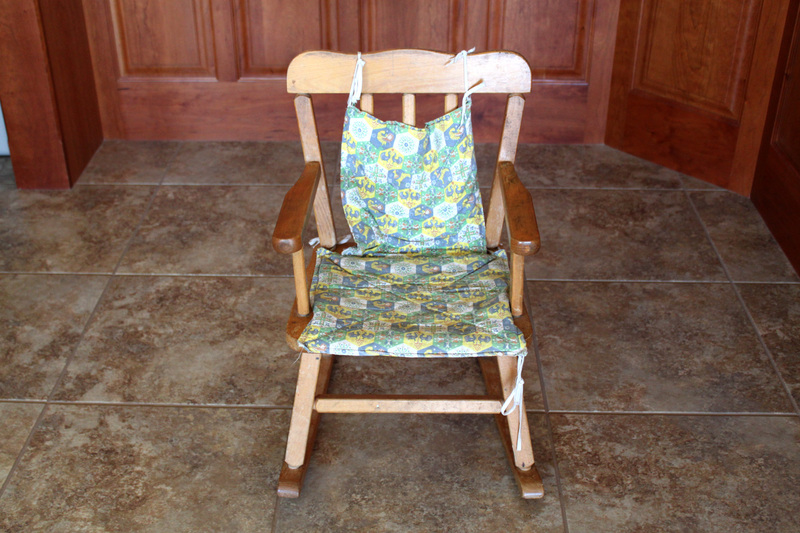 This entry was posted in Auction Finds by Karen Grosz. Bookmark the permalink. Thanks, glad someone enjoyed my humor. I am loving the one I am using as a flower pot inside my home. The other has already come in handy as a bucket.